Spring Edition! Available at all leading cafes now. If we hope to uplift the people behind our cup of coffee we need to take a good, hard look at what we’re paying. David Donde from Truth Coffee, asks some tough questions of us, as consumers of coffee beverages. Strap in and hold on! A South African man’s journey into specialty coffee in Ecuador and out the other side as the reality of the specialty coffee industry set in. Presented by Selati Sugar. We had an incredible opportunity to celebrate the South African Coffee Industry and all the wonderful people in it. Find out who won top honours at the inaugural ceremony! Hand grinders may seem like a lot of hard work, but Ishan Natalie, 3 time SA Barista Champion, can assure you that this labour of love is totally worth it. 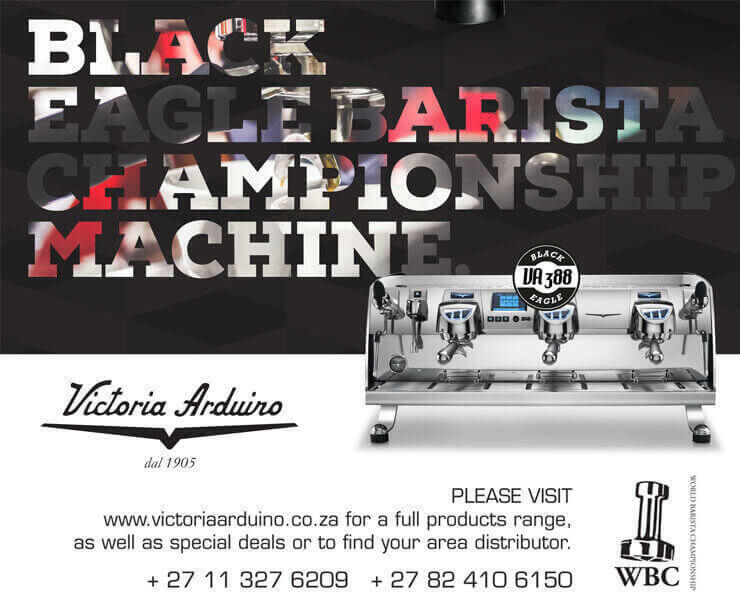 South Africa’s First Coffee Roasting Competition and why it’s important to coffee drinkers everywhere. Part 3 of 4. We challenged Lem Butler to tell us about the Record and coffee that never fail to move him. This is our favourite in the series so far. An education in music and coffee! Brands that are forging their own path and making their mark on the SA coffee market. Interview with the most successful Paralympian in SA history, Natalie du Toit and her connection to coffee.